1 Who is Kate Rorke? 6 Do You Know How Rich Kate Rorke Is? 8 Is Kate Rorke on Social Media? 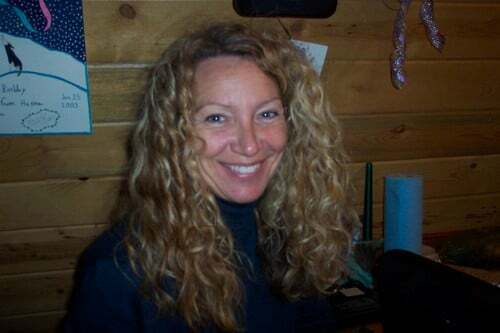 Kate Rorke was born on the 1st December 1956, in Canada, and is an adventurer and reality TV star, best known to the world from her appearance in the reality TV series “Lie Below Alaska” from 2013 until 2015. She is also known to the world as the ex-wife of Andy Bassich, survivalist and hunter, who lives in a remote area of Alaska. Andy and Kate met for the first time when Kate was on a tourist trip to Dawson City in 2003. It wasn’t long before the couple commenced a romantic relationship, and though only a visitor to Alaska, Kate decided to change her lifestyle for the sake of a newfound love. The couple settled in Calico Bluff, 12 miles from Eagle, Alaska, in a camp alongside the Yukon river. The two married in 2006, and focused on life in the Alaskan wilderness, developing their own business. Living without electricity, plumbing, and other modern appliances needed for a normal life, the new couple started hunting for food and developing their own business of breeding sled dogs. They were primarily hunting for moose, black bear, caribou, wolf, and salmon. Gradually Kate’s skills improved, and alongside her husband she was slowly getting used to the life in Alaska. As the business developed, they were noticed by the producers of BBC Worldwide, who wanted to create a new reality TV series depicting the lives of the Alaskan inhabitants. She and her husband Andy were chosen as cast members, alongside Sue Aikens, Chip and Agnes Hailstone, Glenn Villeneuve, Jessie Holmes and Erik Salitan. As Andy’s wife, Kate became a part of the reality TV series “Life Below Zero”; the series premiered on the 19th March 2013 on the National Geographic. Kate remained in the show until 2015, when her and Andy’s relationship started falling apart. During these two years, Kate appeared in more than 40 episodes of the Primetime Emmy Award-winning reality series, actually becoming a star of the show, and capturing hearts of many thanks to her survivalist skills and her devotion to marriage and family on the whole. Unfortunately, she could only do so much for her and Andy’s life together; she claimed that Andy was abusive both verbally and physically towards her, which eventually resulted in a divorce. She left their Alaskan home in January 2015, while their divorce was finalized in the second half of 2016. Since leaving Alaska, Kate has been living in a small town in British Columbia, Canada, focused on raising her youngest child, a daughter which is a result of her marriage with Andy. However, before marrying Andy, Kate was already in a long-term relationship from which she also has children, but there are no more details about it. Do You Know How Rich Kate Rorke Is? Although she featured only in two seasons of the highly-acclaimed reality TV series, it helped her in a great way to increase her net worth. So, have you ever wondered how rich Kate Rorke is, as of mid- 2018? According to authoritative sources, it has been estimated that Rorke’s net worth is as high as $100,000. Pretty decent don’t you think, considering the fact that she lived in remote Alaska for more than 10 years, and her only steady income was the contract with the BBC Worldwide company. Now that we have covered most important details about Kate, let’s share a few details about her ex-husband, Andy Bassich.Andy was born in 1959 in Washington, D.C. USA, and is a professional carpenter and cabinet maker, but is best known to the world for his unusual lifestyle, which he showcased in the reality TV series “Life Before Zero”. Andy settled in Alaska in 1980, and soon started breeding sled dogs; he now has more than 37 dogs and his camp is located 12 miles from Eagle, Alaska, alongside the Yukon River. His net worth is estimated at $2.5 million, while his annual income is around $250,000. Is Kate Rorke on Social Media? Kate can be found on such social media networks as Facebook and Twitter, on which she has shared details about her personal life, both in Alaska and after returning to Canada. On her official Facebook page, Kate has over 22,500 followers, who have enjoyed posts about her daily life. She most recently posted a video of herself with her dogs, among many other posts, all of which you can see on her official page. Kate is also active on Twitter, on which she has around 4,000 followers, but hasn’t been active on this site since late 2016. So if you aren’t already a fan of this successful reality TV star, then this is a perfect opportunity for you to become one.